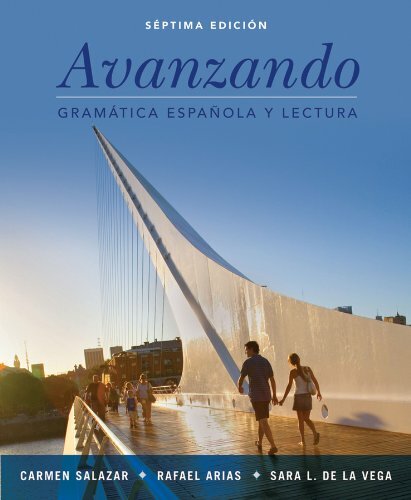 Precise grammar explanations, engaging readings, and a flexible organization are just a few reasons why Avanzando: gramática española y lectura, Seventh Edition, is so effective in high-intermediate to advanced Spanish courses both for heritage and non-heritage students. Featuring a new thematic approach that exposes students to current topics, Avanzando continues to offer a comprehensive look at Spanish grammar. The flexible organization of the text, which has been tested and refined through six highly successful editions, encourages students to build on their current Spanish language skills and learn more advanced grammar points while developing their cultural knowledge and critical thinking skills, all in Spanish. The clear grammar explanations and thorough practice activities are complemented by engaging, theme-based readings in each chapter in Part I, and a selection of short stories by well-known Spanish and Latin American authors in Part II. Reading activities encourage close reading and analysis of the texts, and are designed to develop critical thinking skills and to generate class discussion.